I went to Brimley Beach with a few high school friends and we set off some sparklers. We watched the very limited fireworks and I am super happy with how this turned out. 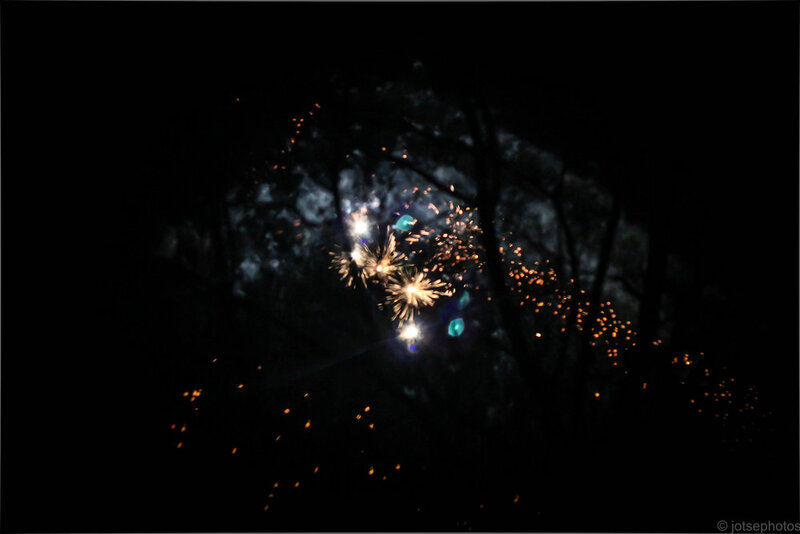 I don't know if you can see the outline of the tree, but it divides the fireworks up (and there's a range of everything in this photo- the sparks, the smoke, the exploding bright light & lens flare).